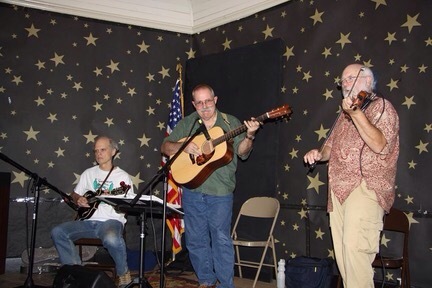 Hot Cider is the house band for the Nevada City contra dance. They’ve played hundreds of contra dances in their years together. The three pickers are all veterans of other musical endeavors, too. They like to mix it up. You’ll hear the best traditional Celtic, Canadian, Appalachian and western swing tunes. Always looking for a smile, the guys take more musical chances than might be prudent. So lookout for manic mandolin and foolhardy fiddle. Hands Four!